Evil Army’s Metallum page may list Memphis, Tennessee, as the band’s hometown, but their sound is pure German thrash. Maybe it’s the booming metallic chug of their riffs, lined with that perfect amount of fuzz. Maybe it’s the throaty spew of vocalist Rob Evil, who channels Mille and Schier in his phlegmy and oddly accented delivery (it’s not that he’s doing German so much as just Thrash). 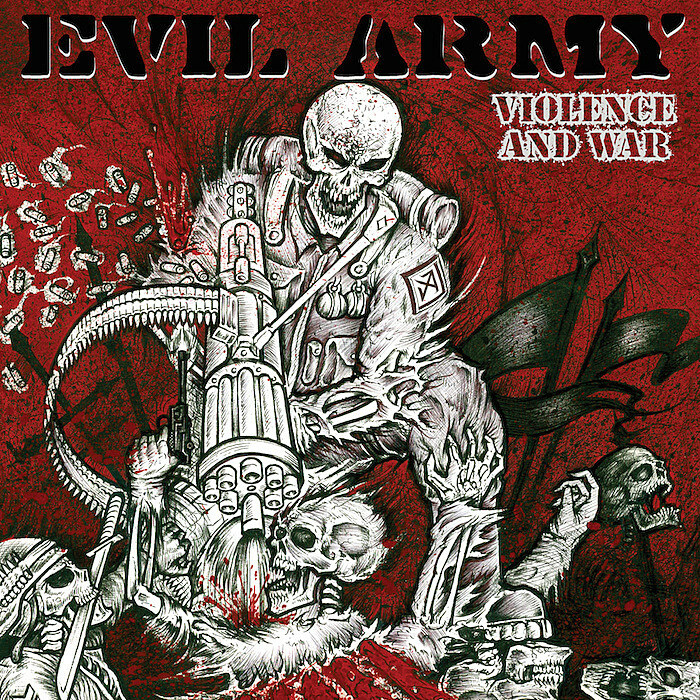 Whatever it is, Evil Army does the Teutonic thrash sound as well as anyone coming out of Germany these days, though its solid production keeps it from sounding pointedly retro or throwback. The band’s new EP, Violence and War, is a classic Euro thrash attack. It emanates that young upstart attitude of the genre’s early days, when everyone involved just psyched it was happening and all of the majors’ self-indulgent fourth albums were years away. Check it out below–it’s a quick and awesome boot to the face. The band is playing Hell’s Headbash Saturday afternoon at 3:55, so look, you might have to leave the Haunting Presence pit a little early to begin getting a solid drunk on. You’ll be happy you did, though.